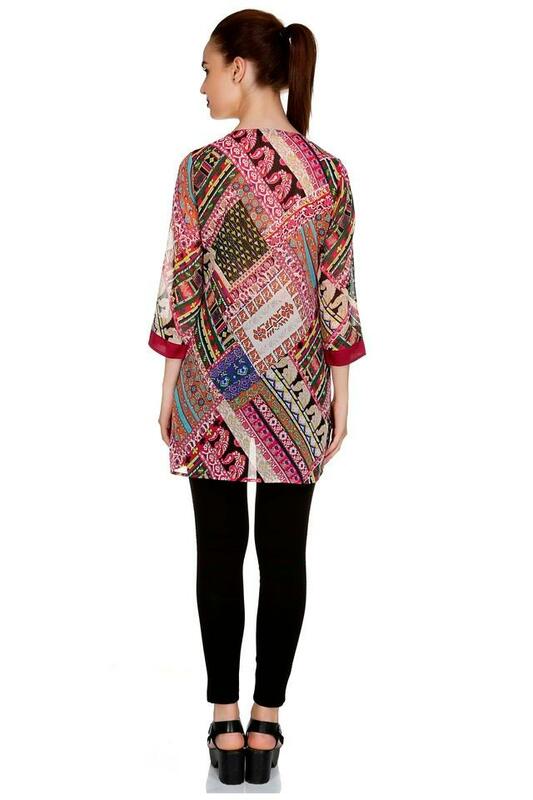 Add a contemporary edge to your looks with this tunic from Fusion Beats. Made from polyester fabric, this tunic will keep you sweat free all day long. Featuring a round neck, three quarter sleeves and printed pattern, this tunic boasts of in vogue charisma. Incorporate sleek design into your casual collection with this tunic. Charm the world by coordinating this tunic with a pair of pants and strappy flats.